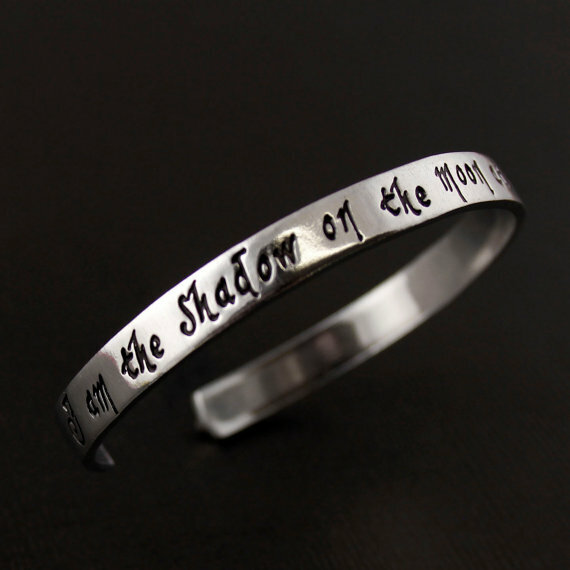 The Horror Honeys: Friday Favorites ~ Holiday Horror Gift Ideas! 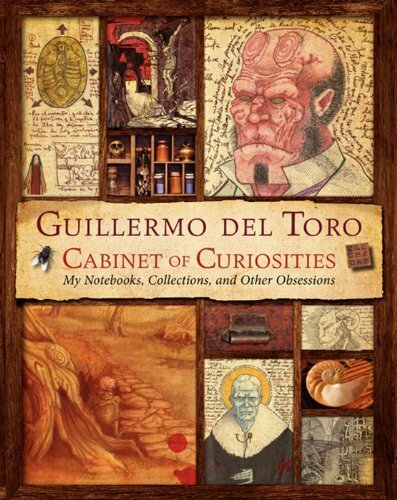 Friday Favorites ~ Holiday Horror Gift Ideas! Even if you don't love the glittery madness of the holiday season, one of December's greatest joys comes in buying (or making) the perfect gift for your friends and family. Here at the Honeys, every year we delight in finding a collection of the best horror-themed items out there that you can buy for the creepy gal or ghoulish guy. But remember, if you can't buy a gift, a nice heartfelt non-essential body part wrapped in newspaper will always be cherished by friends or family alike! Do you have a horror-themed gift that you'll be sending to a loved one this year? Share it with the Honeys on Twitter, using #horrorgifts! Head Honey Kat - Adorable Monster & Bride S&P Shakers! 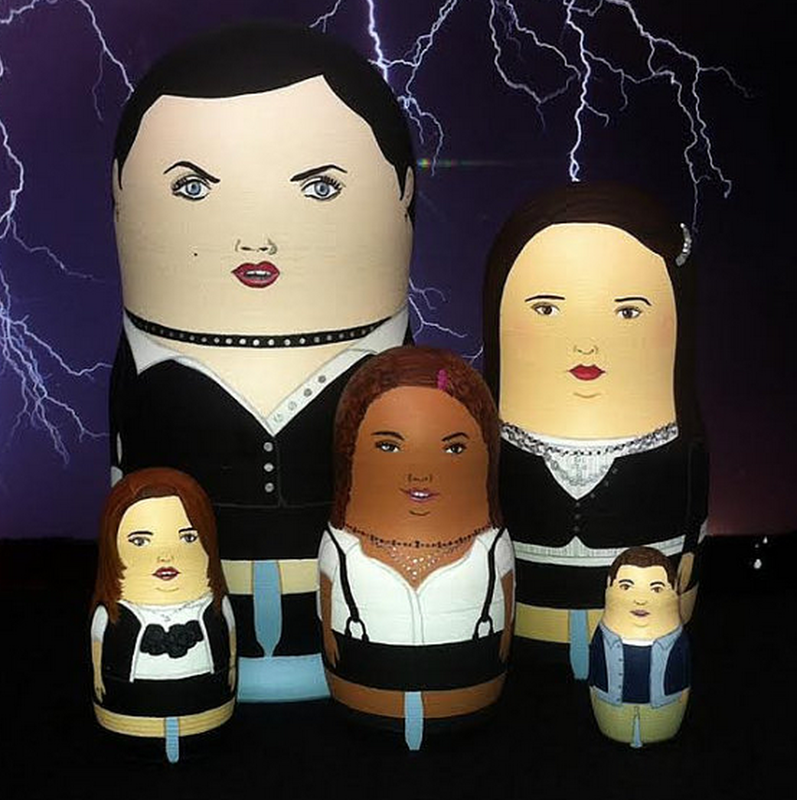 Revenge Honey Linnie - These amazing handmade nesting dolls from The Craft! 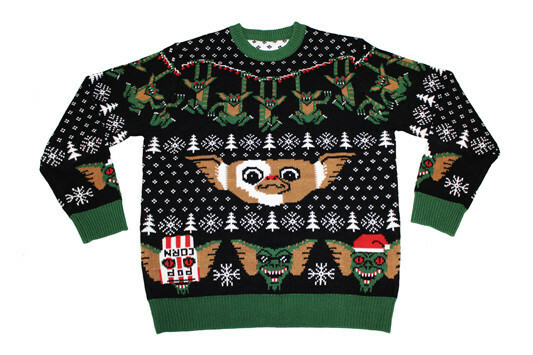 Sci-Fi Honey 2.0 Katie - A Gremlins sweater for your ugly sweater parties! 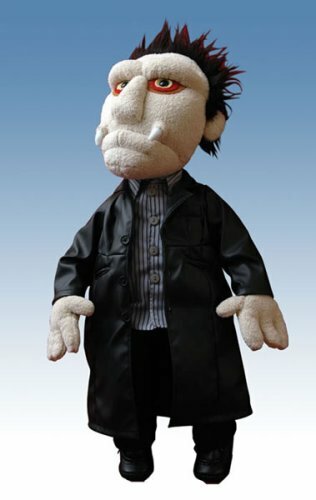 Original Sci-Fi Honey Jen - A vampire Angel puppet to perform your own Buffy scenes! Hardcover Honey Jocelyn - A lovely Nightmare Before Christmas-themed bracelet! Gamer Honey Kaley - A must-have book for EVERY horror fan! 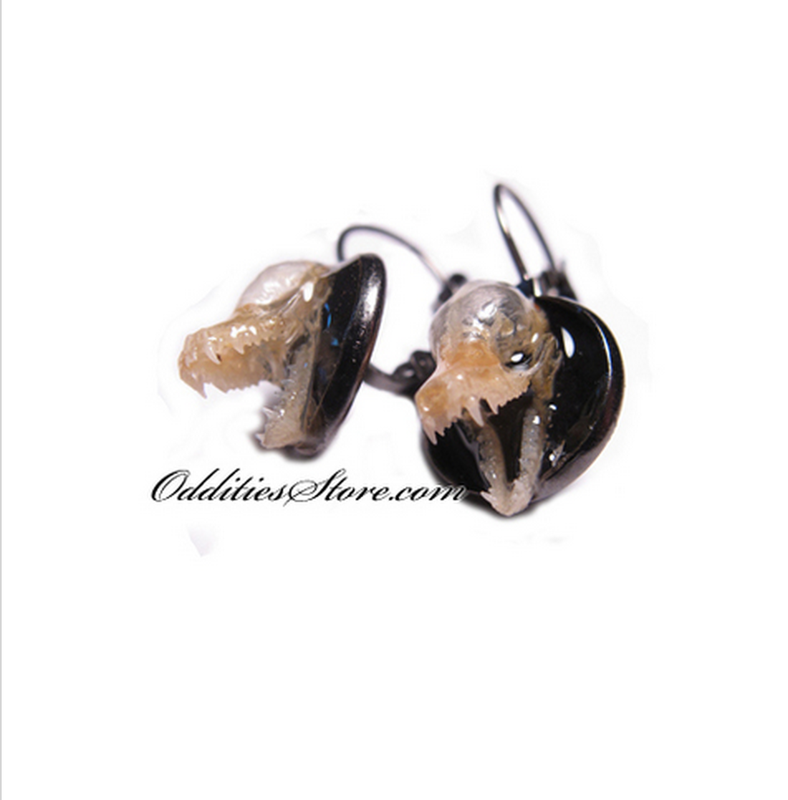 Supernatural Honey Suzanne - REAL bat skull earrings: fashionable and spooky! Horror TV Honey Lisa - A locket with a piece of Tom Cruises hair? Priceless. 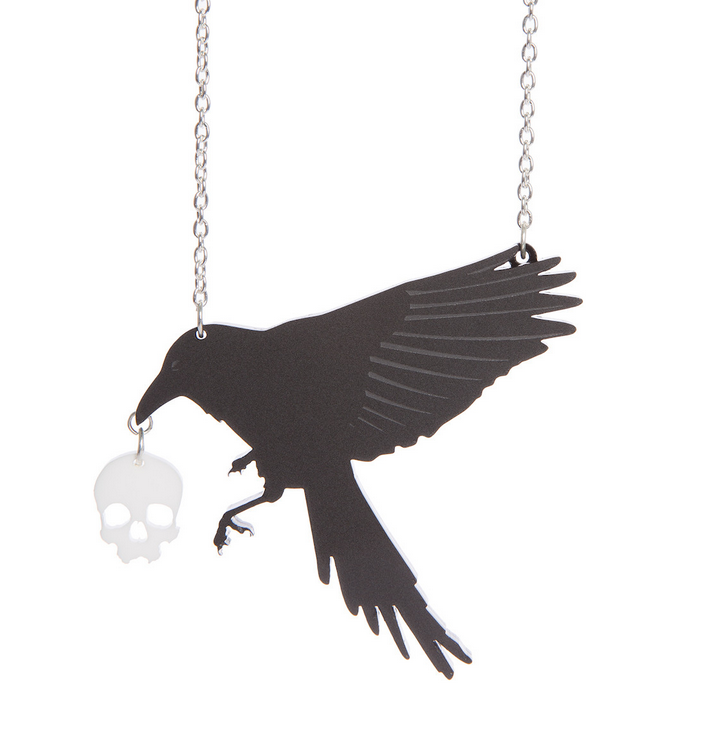 Comics Honey Shannon - This bewitching little raven necklace for the fashionable honey! 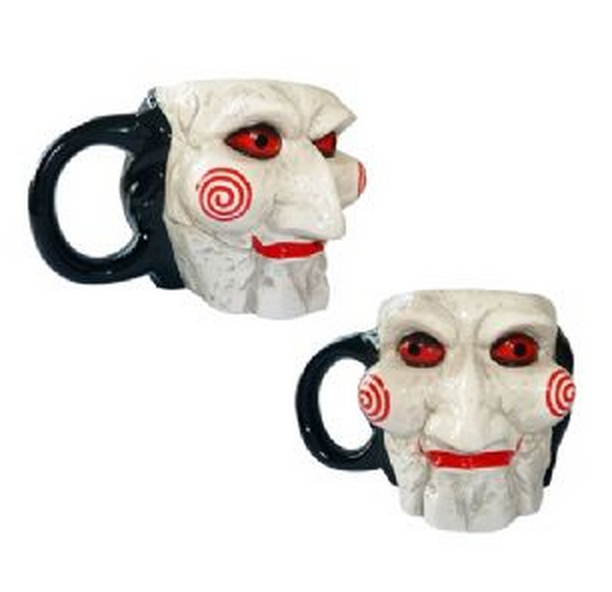 Slasher Honey Chassity - Share some morning coffee with Billy the Puppet!